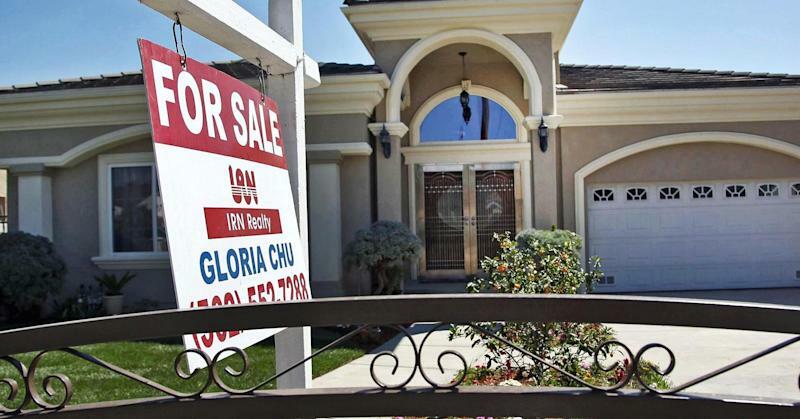 More proof that low mortgage rates are not the key to home ownership: Rates dropped to their lowest level in nearly 18 months last week, causing an 11.6 percent rise in applications, the Mortgage Bankers Association reported Wednesday. The gains, however, were driven entirely by refinances, just as they have been for several weeks. Refinance applications jumped a whopping 23 percent week-to-week on a seasonally adjusted basis; volume was at the highest level since November. Mortgage applications to purchase a home saw no boost at all from lower rates, falling 5 percent from the previous week and 9 percent from a year ago. "Continuing concerns about weak economic growth in Europe and a few U.S. economic indicators that came in below expectations caused a flight to quality into U.S. Treasurys last week, leading to sharp drops in interest rates," said Mike Fratantoni, the MBA's chief economist. "Mortgage rates have fallen close to 30 basis points over the last four weeks." The average contract interest rate for 30-year fixed-rate mortgages with conforming loan balances ($417,000 or less) decreased to 4.1 percent, the lowest level since May 2013, from 4.2 percent, according to the MBA. Some lenders are now offering rates below the psychologically significant 4 percent line, but only to their highest credit-worthy customers. The average loan balance for refinance applications increased to $306,400, the highest level in the MBA survey's history, suggesting that wealthier homeowners are benefiting most from the drop in rates. Sales of existing homes did increase in September by just over 2 percent from August, according to the National Association of Realtors; however, they are weaker than a year ago, when investors were competing for distressed homes and pushing prices ever higher. The NAR's chief economist, Lawrence Yun, said sentiment among real estate agents was at its lowest level of the year, suggesting that sales may be weaker going forward. "It's turned into what I think is really a classic buyers' market," said Sherry Spinelli, a real estate agent with Long and Foster in Northern Virginia. "More days on market, prices are coming down, the offers are even lower and there are just a lot of houses out there, so it's a challenge for sellers. I think you have to lower the price in order to sell it." Mortgage rates, while lower now than they were a year ago, have not been the biggest barrier to entry for home buyers in this recovery. Even the high 4 percent range on the 30-year fixed is historically low. The trouble is not the rate, but credit availability. Banks have required higher credit scores, full documentation and strict debt limits because they do not want to be forced to buy back any loans that might go into default. They have already paid billions to the government on bad loans left over from the housing crash. This week, Mel Watt, director of the Federal Housing Finance Agency, which regulates Fannie Mae and Freddie Mac, said in a speech that there would soon be better clarification for banks, "rules of the road," on how to safeguard against these so-called 'buybacks,' but the details were general. "We have started to move mortgage finance back to a responsible state of normalcy-one that encourages responsible lending to creditworthy borrowers while maintaining safety and soundness of the enterprises," Watt said in prepared remarks Monday. While there has been plenty of talk by lenders and federal regulators of loosening credit, the talk has yet to filter down to consumers.